November 28, 2016 November 27, 2016 by Beau H.
A sporty, stylish combination for a sunny long weekend in Florida. Heather Merino Knit Polo by QOR. Capital Shorts by OLIVERS Apparel. Gratton Sneakers by Fronteer. Calypso Watch by MVMT Watches. Sunglasses by Nautica. Whenever I hit the road, I always look forward to packing in style. And when I get the chance to head south to Florida, visit with family and chow down on amazing Thanksgiving food? That’s all the better. Spending the holidays in a warm-weather locale like Florida is a change of pace from your Style Guide author’s past holidays growing up in Michigan, so the garb I packed with me has changed accordingly over the years. It’s a bit disconcerting sometimes to go from rugged fall style in NYC to spending time on the beach in Florida, but I always look forward to doing so. And just as with my August trip to Florida, I loaded up plenty of warm-weather gear fit for versatile style situations — including Thanksgiving dinner, brewery-hopping and lots of time spent in the sun. Gear for the office, a flight and Florida style. Crosstown Bomber by Public Rec. Slim-Fit Tapered Leg 5-Pocket Pants by Dickies. Strayhorn Mid Sneakers by JackThreads. 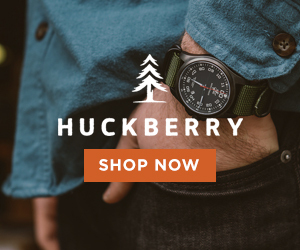 Waterbury Chrono by Timex x Red Wing Heritage. Sunglasses by Nautica. Chapter Travel Kit by Herschel Supply Co.
As always with traveling from NYC to a warm climate like Florida, I sought to pack gear that would move seamlessly from a chilly NYC work day to breezy Florida in style. That meant selecting the ever-versatile, comfortable Public Rec Crosstown Bomber— it’s the sort of jacket that layered easily over my classic Old Navy chambray shirt. And my Dickies Slim-Fit Tapered Leg 5-Pocket Pants were more than ready for a day at the office and a flight back home, as were my new CLAE x JackThreads Strayhorn Mid Sneakers. The chukka-style hybrid silhouette and grey wool upper proved stylish for the work day and helped me breeze through security. And, I had to bring along my Timex x Red Wing Heritage Waterbury Chrono for a dash of rugged-refined style for the office and fall travel. On the footwear front, I had to break out my Jack Erwin Cooper Boat Shoes from storage — the next time you’ve got to tackle warm weekend weather in style, you should look to pack a similar pair. Of course, I took along toiletries from the likes of Nivea for Men — the brand’s Creme works as a hand, body and face moisturizer, so it’s a do-it-all travel essential. And throughout my trip, my retro-inspired Nautica sunglasses and the slick, new MVMT Watches Runaway Aviators proved stylish accessory options for the Florida sun. Seriously, never underestimate the power of a stylish pair of men’s sunglasses. So, with stylish travel gear in tow and a quick flight home in the books, it was onto a fun Thanksgiving holiday weekend. The day on Wednesday — as one would expect — dawned sunny and pretty hot. With that in mind, I reached for the stretchy, stylish and tailored OLIVERS Apparel Capital Short, as seen at the very top of the page. The versatile color paired up well with another sport-inspired, hybrid piece — a new Heather Merino Knit Polo from performance apparel purveyors QOR. 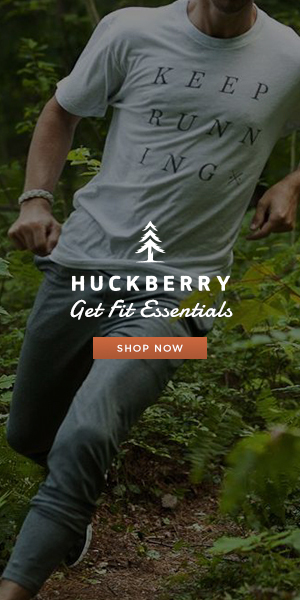 Its tailored look is offset by the merino blend fabric, which wicks sweat and dries quickly. And the comfortable combo paired up well with a new set of kicks — the FRONTEER Super Gratton high-top sneakers, provided courteously by the FRONTEEER team. With their unique design and a silhouette inspired by functional outdoor boots, they’re a nice lifestyle hybrid sneaker. They worked for grabbing a delicious Maple Bacon Donut at the renowned Bennett’s Fresh Roast and hitting the beach. For hitting up Fort Myers Brewing Company later, the brand-new Calypso Watch from the recently launched MVMT Watches Modern Sport collection was a prime, affordable pick. It was also a nice chance to break out a stylish pair of retro-inspired sunglasses from Nautica, and the combination of sport-inspired and functional pieces held up well for Florida exploration — and a few outdoor brews! Hanging out in classic Florida fashion. Thomas Pacific Latitude Shirt by Bridge & Burn. Slim Chinos in Light Stone by Taylor Stitch. Cooper Boat Shoes by Jack Erwin. Runaway Aviators by MVMT Watches. Waterbury Chrono by Timex x Red Wing Heritage. And with an enjoyable Wednesday in the books, it was onto an even more enjoyable Thanksgiving. Now, unlike dressing for a casual fall day, our Florida Thanksgiving celebrations required significantly fewer layers than an NYC November day. With that in mind, it made it easy to reach for the Thomas Pacific Latitude Print Shirt, also from Bridge & Burn. Although that shirt is sold out, you can’t go wrong reaching for any of a selection of similar stylish short-sleeved shirts the next time you find yourself in a warm locale for a holiday. The same goes for the ever-classic Taylor Stitch Slim Chinos in Light Stone — any chance you get to pick up durable, high-quality and classic Taylor Stitch menswear (especially the brand’s lauded chinos), I’d recommend you take it. I found the combo worked quite nicely once again with my Jack Erwin Cooper Boat Shoes and the always-stylish Timex x Red Wing Heritage Waterbury Chrono for eating second (and third) helpings of Thanksgiving dinner. And the whole ensemble was polished-yet-casual enough for family Thanksgiving — no expandable waistband in sight on those Taylor Stitch chinos, although it would’ve helped. Brewery hopping in the Florida sun. Vesper Polo by Mack Weldon. Stringer Dune Shorts by Bridge & Burn. Cooper Boat Shoes by Jack Erwin. Mod Watch by Timex x Todd Snyder. Vintage ballcap by Goorin Brothers. Glasses by Frameri. Of course, Friday presented another absolutely beautiful Florida day, and a prime chance to break out some of my best warm-weather menswear again for a little in-person Black Friday shopping and strolling. (And, let’s be honest — a trip to the excellent Big Blue Brewing was in order). The lightweight, breathable and slim Vesper Polo from the fine folks at Mack Weldon was just what the doctor ordered — and it teamed nicely with my ever-essential Stringer Dune Shorts from Bridge & Burn. It was a bit strange to wear warm-weather gear after a chilly NYC fall, but I adjusted easily thanks to stylish pieces like the always-reliable Jack Erwin Cooper Boat Shoes — they’re the rare type of boat shoe that’s refined, and exceedingly easy to wear for both beachside and city exploration. What’s more, my always-reliable Timex x Todd Snyder Mod Watch had to make the trip, too — I think if you pre-order one for yourself, you’ll be mighty surprised at just how much you’ll be reaching for this casual-yet-versatile timepiece. I’d also recommend you reach for an upgraded, subtly designed ballcap if you need to protect your face from the sun — my Goorin Brothers vintage ballcap (unfortunately sold out now) is a perennial favorite. 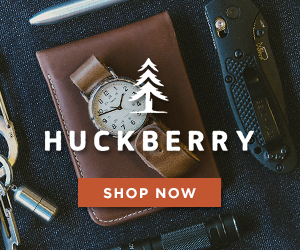 To snag a similar style for yourself, check out the Huckberry Explorer’s Cap. With that gear in tow, it made for a fun, easygoing day strolling around the neat artists’ village of Matlacha — and if ever you find yourself in the Fort Myers area, Point Ybel Brewing is worth a stop to cap off your day. In awe of the amazing creations at the American Sandsculpting Championship. Anything Shirt by Strongbody Apparel. Chambray shorts by Canvas by Lands’ End. Cooper Boat Shoes by Jack Erwin. Mod Watch by Timex x Todd Snyder. Vintage ballcap by Goorin Brothers. Sunglasses by Nautica. And no Florida trip would be complete without a little beach relaxation and a trip to the American Sandsculpting Championship on Fort Myers Beach — right? I made sure to bring along stylish beach gear for some fun in the sun. That gear included the comfortable, sweat-wicking Anything Shirt by Strongbody Apparel, plus a pair of tailored chambray shorts from Canvas by Lands’ End. Of course, my Cooper Boat Shoes helped me out quite nicely for navigating the sand and the city, as did my Nautica sunglasses. If you’ve got to pack relatively light, versatile accessories and footwear that work for multiple situations can undoubtedly help ease the burden of lugging around a heavy weekender bag. The durable Calypso Watch from MVMT Watches teamed nicely with my SeaVees Legend Sneakers. I also switched up my outfit for an evening out and about in Fort Myers (including a requisite viewing of the new “Fantastic Beasts and Where to Find Them,” an excellent Harry Potter film). That meant reaching for a tailored short-sleeve gingham shirt from Banana Republic, along with a pair of tailored Canvas by Lands’ End shorts. I also looked forward to breaking out my crisp white SeaVees Legend Sneakers, a go-anywhere set of kicks that works for both casual and business casual situations. My durable, stylish Calypso Watch from MVMT Watches was once again up to the task — I’ll be getting a ton of use out of that timepiece in the weeks and months to come. And as to the movie? If you’re a Harry Potter fan, you should absolutely check out the incredibly awesome expansion of the HP universe… but back to menswear, ehh? Just the right gear to hit the road back to NYC. Crosstown Bomber by Public Rec. Voyager Waxed Weekender by Owen & Fred. Waterbury Chrono by Timex x Red Wing Heritage. Strayhorn Mid Sneakers by CLAE x JackThreads. Utility Bifold by Tanner Goods. Vintage ballcap by Goorin Brothers. It seems that every time I head to Florida, it gets tougher to leave — especially after a great holiday with family and some beautiful warm weather. But with that being said, it was time to pack up to head back to NYC — to deal with the impending cold weather, I again grabbed my Public Rec Crosstown Bomber and the versatile, travel-friendly CLAE x JackThreads Strayhorn Mid Sneakers. I packed up my gear in my dependable Owen & Fred Voyager Waxed Weekender, which has more than capably stood up to the demands of both summer and fall travel across the past few months. Of course, my travel watch pick was an easy one — my Timex x Red Wing Heritage Waterbury Chrono hasn’t yet let me down! And when it comes time to add to your everyday carry, the Tanner Goods Utility Bifold is a wallet I’d certainly recommend. So, with that gear in my bag, I hopped a crowded flight back to NYC — and already, we’re back in action and looking ahead to the holiday season. I had an amazing, fun, relaxing and reflective time in Florida — being able to dress in style was just icing on the cake. But you really can’t put a price on time spent with family — can you? What’s more, I’m already looking forward to being back to Florida for Christmas next month. I hope you enjoyed your Thanksgiving in style, and I hope you’re ready for a busy holiday season at The Style Guide — tomorrow, you can look for a seasonally appropriate #OOTD entry, and Wednesday, we’ll tell you exactly how to dress for your next holiday party. Beyond that, you can expect the best menswear on tap with our Style Pick of the Week series, and more holiday men’s style ideas galore. Thanks so much for reading — stay stylish! September 19, 2016 September 12, 2016 by Beau H.
Editor’s note: For a full set of style suggestions for fall, click here. We’re slowly (but surely) creeping toward fall — it seems like that’s been the case for a couple of weeks here at The Style Guide, but it’s certainly no more true than right now. Dressing for football season has started, there’s a bunch of great new music out — that signals tons of fall tours and rock concert style — and it’s high time to, well, get with the times. So, grab your fall style wish list and get hip to the scene. Even if it takes a while to get chilly, you’ll still want to have the proper gear on hand when it does. I know temperatures have been high here in NYC, but I’m definitely anxiously awaiting fall. For all of you loyal Style Guide readers (I know you’re out there), it signifies a really fun time of year in terms of menswear. If you’re one who tends to get sick of the oppressive heat — and even tires of heading to the beach — it can be a welcome change of pace to throw on heavier layers and incorporate durable texture into your #menswear ensemble again. And being able to play around with deep fall colors and textures — as some of the picks do below — is another reliable signifier that the season is changing. Everywhere you look, it’s about that time. Wthout further ado, here’s a look at how to dress for fall. Catch more style tips daily on the ‘Gram or Twitter, and leave any thoughts on this look in the comments. Not as heavy as a winter parka, not as lightweight as a spring jacket — hence, a great fall coat. You feel a crisp breeze in the air, but a lightweight spring jacket won’t cut — and it’s not heavy winter topcoat time, either. What’s your reliable go-between? A cotton canvas coat in a rich shade that’s perfectly primed for fall. Although the interior of this jacket is lined with a neat striped cotton, it should prove reliable and not too heavy for layering. Details like the front patch pockets call to mind workwear of days past, and the rich Bandolier Brown color is going to handsomely offset the blues in the rest of this ensemble (although we don’t want to give too much away yet). Beautifully made, able to withstand anything and certainly able to make that transition to fall. 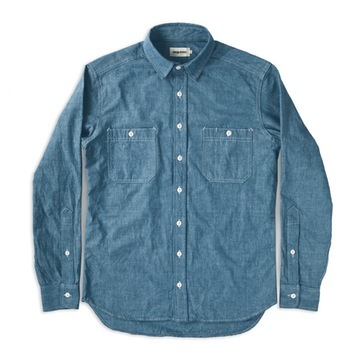 Were you expecting something other than a stellar Taylor Stitch chambray shirt here? I hope not, because I’d bet you’re disappointed right about now. The brand takes the same attention to detail that’s made its Standard Issue Chinos beloved by The Style Guide, and applies that process to a heck of a chambray shirt. 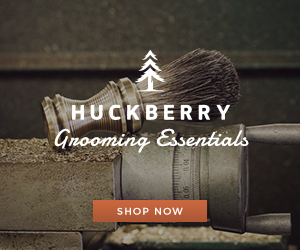 Featuring sturdy double-needle construction, a midweight 7oz. chambray fabric and a fit that’s modern yet mobile, it’s the ideal contrast to that handsome brown jacket. Plus, it’s got the type of classic looks and styling potential that’ll work the rest of the year, too. New denim from a menswear line that gets essential fall basics right. 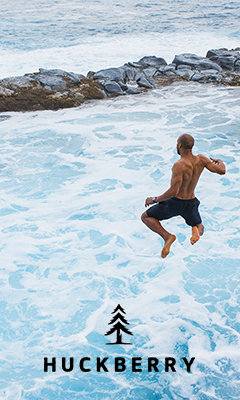 The brand that produces your favorite set of American-made boxer briefs and other stellar fall menswear delivers again with new denim that’s part of its deepest product offering to date. For fans of versatile, timeless style, that’s very much a positive. 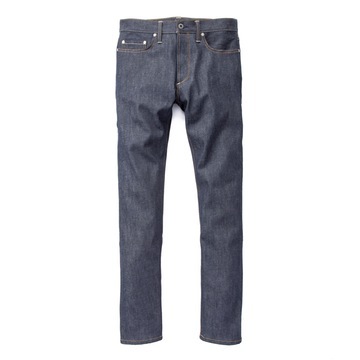 These jeans are every bit an essential pair of fall denim, made from 12oz. Cone Mills fabric and featuring one percent of stretch — that touch will make it easier to wear ’em on fall hikes or walks in the park. The slim fit is a must-have these days, although the brand’s waist sizing does go up to 40. Grab one pair of these, wear the heck out of them and watch them tell the story of a great fall season. Part of a new set of footwear offered from the excellent E-commerce retailer. Since when does JackThreads make footwear? Since this season, that’s when. It’s part of the brand’s mission to expand on its stellar menswear line and take up some serious real estate in your closet. When they’re able to churn out crisp pieces like these refined Chelsea boots for just a shade over $100, that’s very agreeable. 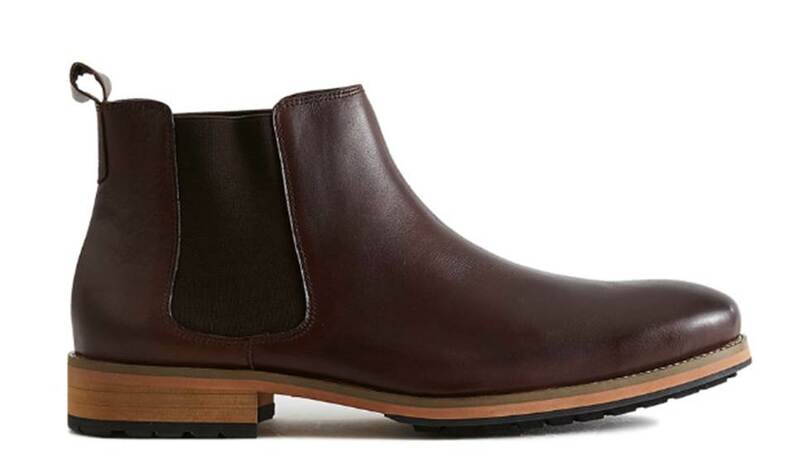 A stylish Chelsea boot works nearly any time of year, yet they seem particularly fitting for fall. They’re not nearly as clunky as some thick winter boots, and they feel especially sleek alongside slim denim and a chambray shirt (some stylish leather chukka boots could also work here, though). 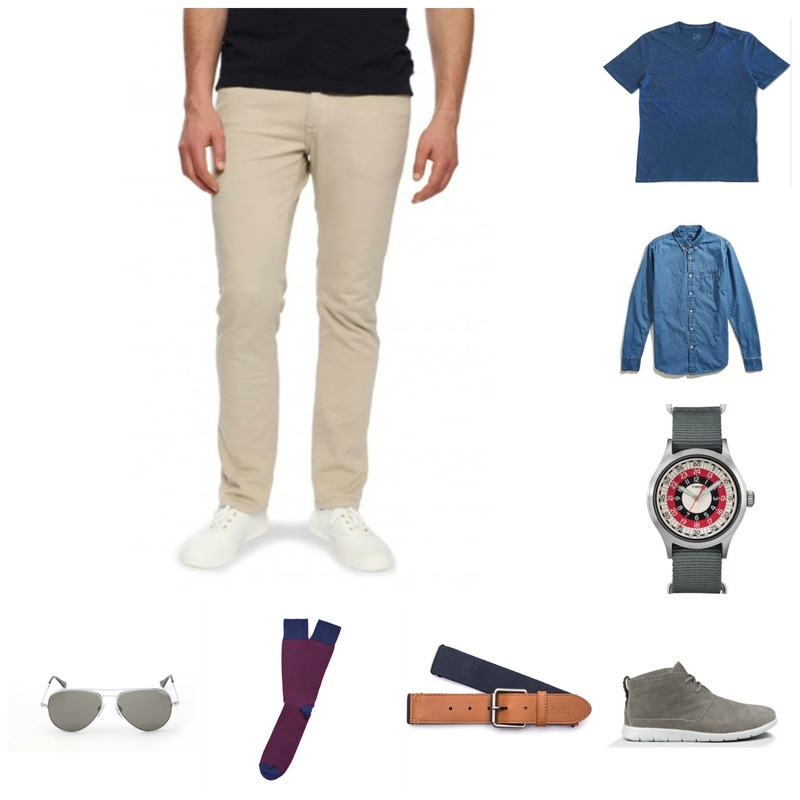 Easygoing socks for daily wear — in a color that plays along nicely with the rest of this outfit. The folks at Mack Weldon are consistently churning out everyday basics that’ll have you covered from the ground up, from its Vesper Polo to pieces like its Merino Long-Sleeve Tee, and if you read this blog as much as I think you should, you’re well-acquainted with those pieces (wink, wink). 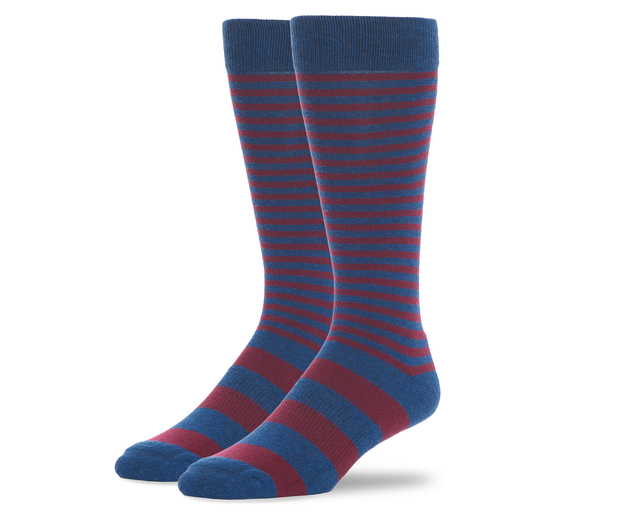 So, it only makes sense that you should round out your wardrobe with some striped Mack Weldon socks that add a nice bit of color contrast to the deep blues and browns of this outfit. Ya feel me? A stunner of a watch for a stunningly low price. Are you familiar with MVMT Watches? If not, you definitely should be. That is, if you’re a fan of stylish, affordable eye-catching watches — and who isn’t? 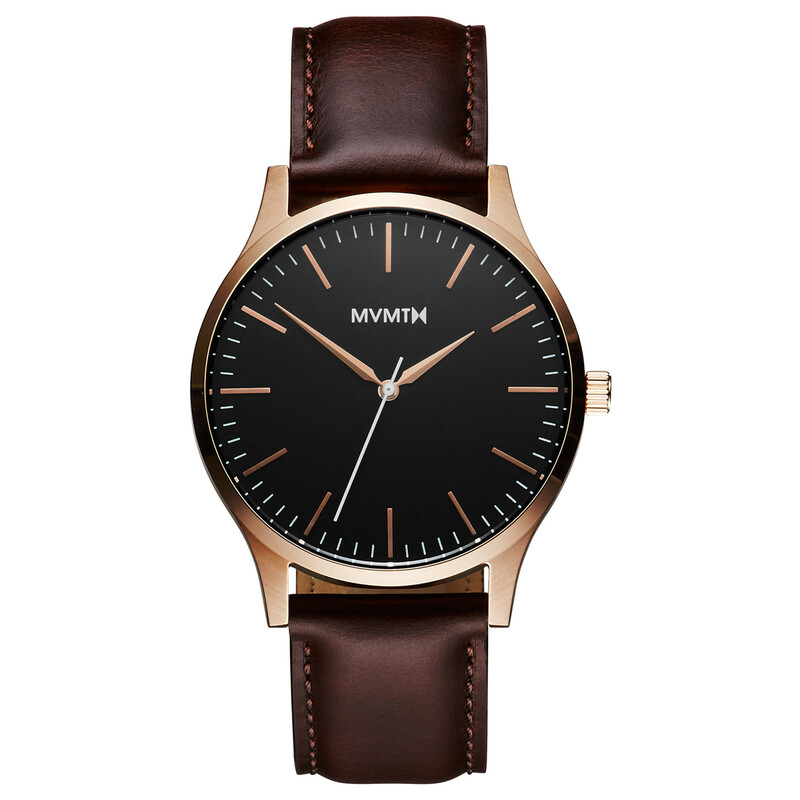 There are some watches that are so refined in their design, you can wear them more casually — that’s certainly the case with this MVMT Watches timepiece, crafted from a rich brown leather-brown dial-rose gold case combo that’s a heck of a looker. 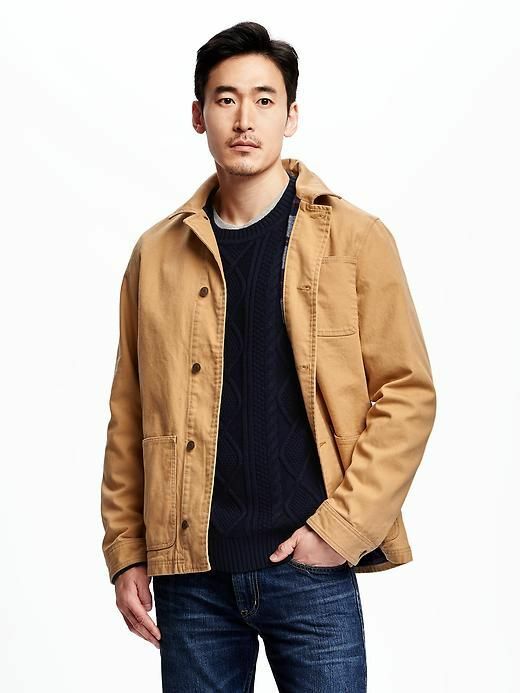 It’s a way to offset some of the more rugged pieces in this outfit, like the canvas coat and chambray shirt. More importantly, it’s dressy enough to wear later on this season with, dare I say, the Taylor Stitch Telegraph Suit? Texture in the form of a refined belt for the season. This suede belt first made an appearance in this site’s suggestion on how to dress for a football game, and it’s back here and adding a change of pace to this outfit in the process. The look is already quite heavy on rugged style, to be sure, so it’s fitting that a suede belt comes into play. Fall is the perfect time to try out texture where you might not do so normally, and for more than $50, you better get a lot of wear out of this belt to justify the initial price (although this particular pick is suede, a handsome leather belt like the Tanner Goods Classic Belt would work, too). 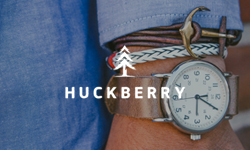 Equal parts retro cool and affordable style from a watch maker who knows how that stuff works. Wait a second — MVMT Watches does sunglasses? Yes, they sure do. And why do we have sunglasses in this post? Well, as this is transitional style and all, it’s still going to be a bit sunny out there most days, whether you’re taking a hike through a park, heading to a bar crawl or taking in that football game. 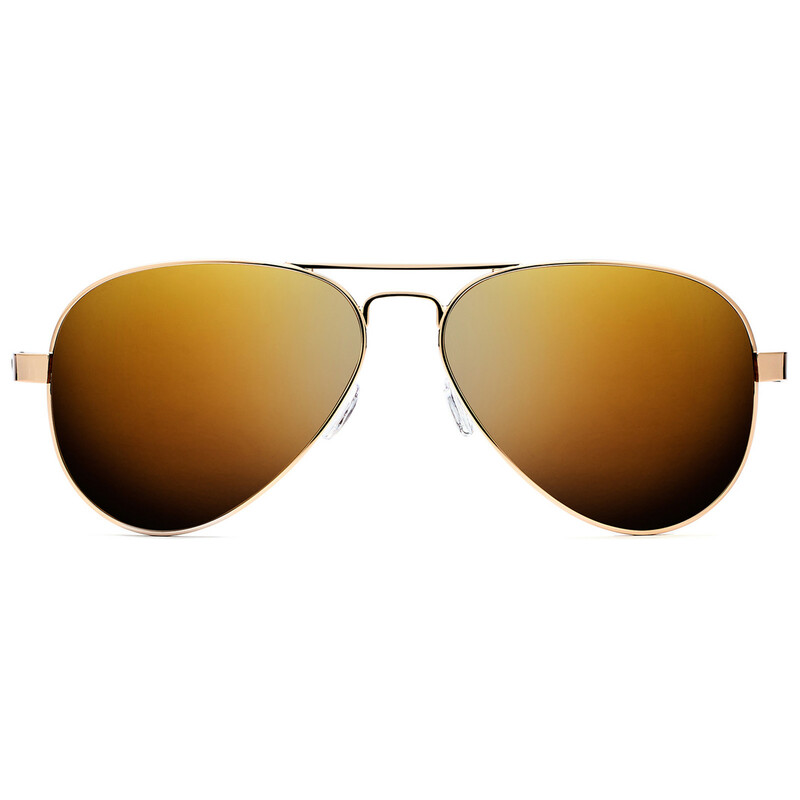 These sunglasses aren’t too precious to take a beating, and more importantly, they’ve got a distinct air of retro cool about them. Just like the watch, they’re perfect to pair with everything from that Taylor Stitch chambray shirt to … wait for it… the decidedly modern Taylor Stitch Telegraph Suit. And there you have it, folks — pick up one, all (or heck, none?) of the above items and prep for fall in style. As we always aim for at this #menswear blog, reaching for pieces that are going to have your back the rest of the year is a solid bet no matter the season. And if given the chance to wear a durable chambray shirt with a crisp canvas coat, take it. The combo is just the right amount of rugged with venturing too far off the beaten path, and pieces like slim, dark denim and brown leather Chelsea boots keep things modern. A refined watch and cool-as-heck sunglasses are items every guy needs, yet not every guy has — except you. And you can never go wrong with accessories from staple players like Mack Weldon and J. Crew. Head-to-toe, there might not be a better time to be a style fan — and that’s what makes fall menswear so great. What’s your take on this ensemble? Have you picked up any of these pieces?